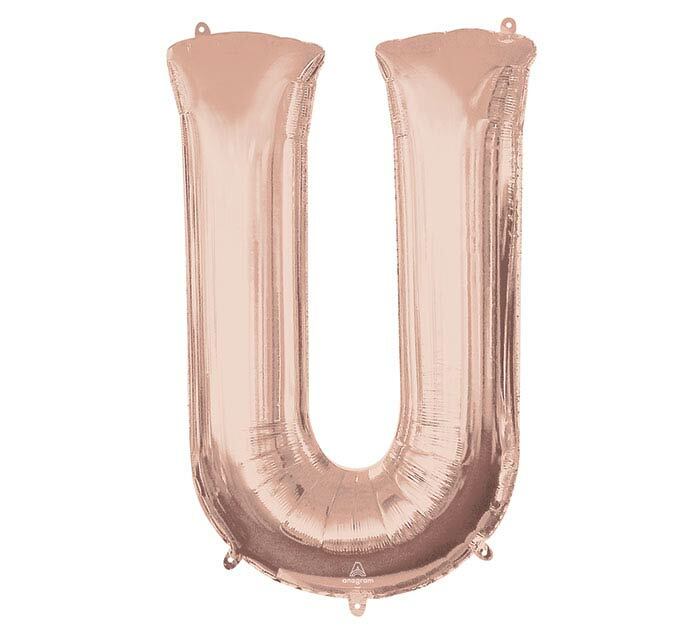 33" Packaged Anagram Rose Gold letter U Supershape foil balloon. Top + bottom tabs allow for easy link. Letters lay flat for consistent visual display.